This fun printable would fit perfectly in my office/craft room. Creativity is messy and that room usually is too! Not to mention I love all of the faux chalkboard printables! 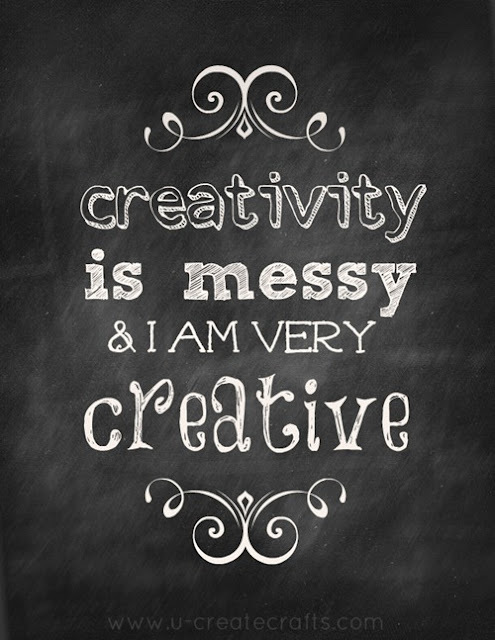 You can download the Creativity is Messy & I Am Very Creative printable over at UCreate Crafts.